Beyond The Sea of Stars is a roleplaying game currently in development that is inspired by anime and JRPGs that are played on consoles and computers. At its heart, the game is focused on exploration, performing mighty deeds, and making a name for yourself across the galaxies. The core game itself takes many of the tropes of the anime and JRPG genres and adds spins and tweaks onto them, using a highly modified version of the most famous fantasy RPG game in the world as the basis for a new game engine that allows for a dramatic shift in gameplay: the AxB Engine. This engine uses 3d6 as the basic basis for dice rolls instead of a d20, but characters may end up rolling anywhere between 1-6 dice, sometimes using dice with more faces! The focus of the game is on anime- and JRPG-style science fantasy rather than traditional European fantasy. A move away from using a single twenty-sided die (d20) to handle dice rolls. Instead, we use a pool system that starts with a standard of using three six-sided dice (3d6). This allows for a bell curve of results that is much more mathematically satisfying and allows us to do some of the other cool stuff that we want. Sometimes you may roll larger dice types or more dice. Things get crazy when that happens. Crazy good fun. The implementation of a Luck system as a core part of the game engine. 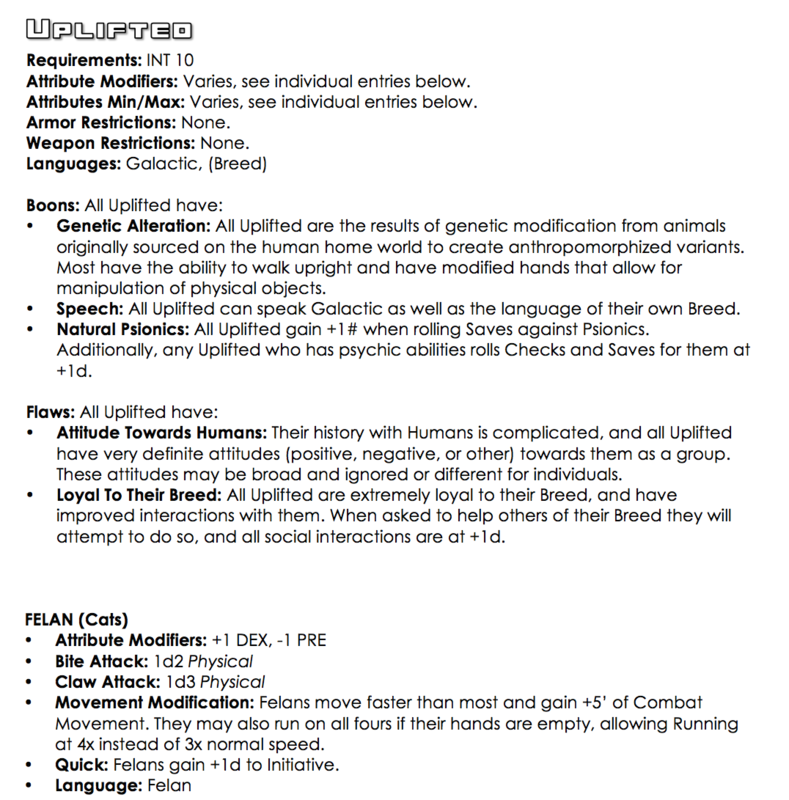 Centralized saves under Attributes, utilizing a single Save value that decreases in value as characters level up, and that allows for rolling of more dice as well as of larger dice types. A variable amount of “hit points” recovery depending upon character attributes rather than simply “everyone recovers X points every Y”. Combat bonuses aren’t just for attack any more – they’re part of your defensive capability. 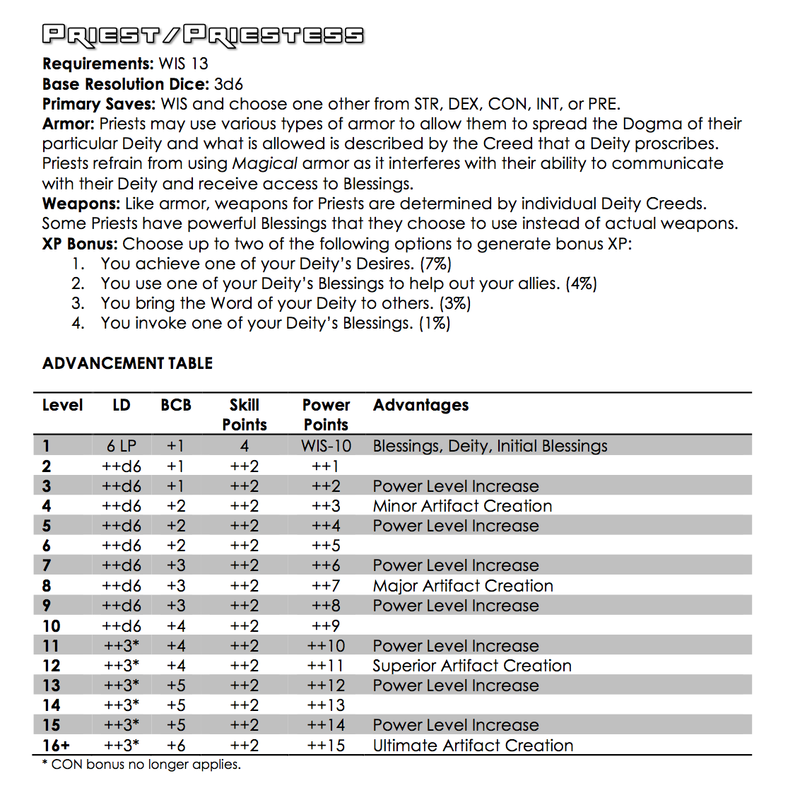 Multiple critical damage systems depending upon what Class you’re playing. Some Classes get to do some pretty major damage to others as they rise up in rank. Changes to how “spells” are cast by introducing a mana-like system that recharges rather than limited amounts of usage. Psionics baked into the game system and engine. A Stress system that allows for handing non-lethal damage in a slightly more realistic manner than other systems do. Cross-Class access to abilities called Advantages that unlock advanced skills as well as allow improved chances to perform tasks under certain circumstances. Exponential scaling of character Classes up to what could be called “epic” level play. A revision to the bonus experience systems that disassociates it from character attributes and focuses it on what the character actually does in play based on Class. A scaling system for damage and armor that takes into account size and density of objects and how they interact. Carefully designed play artifacts, including character sheets and a number of tools for Judges and players that are intuitive to use, help learn how to play the game, and also utilitarian for those with more experience. Careful Class design to allow you to easily translate content from other compatible games quickly and easily, including spells, magic items, weapons, classes, races and other cool stuff like that. A toolkit approach to universe, spaceship, mecha, monster, weapon, amor and other item design, allowing for complete customization within the game. 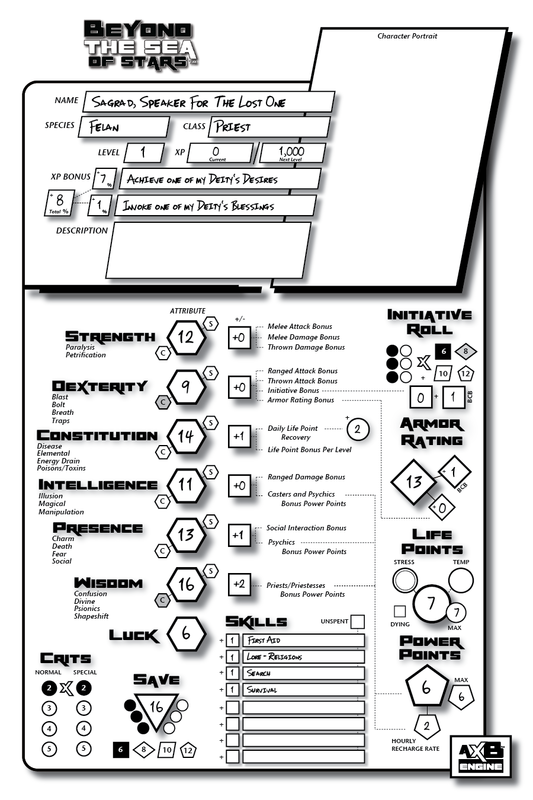 Below, you can see an example of the proposed character sheet for the game, which highlights the differences that the AxB Engine brings to game table for you in visual form. We will be releasing an SRD of the game into open beta shortly for public review and play and plan to keep the SRD free and open. Once the game has been thoroughly tested, it will be fully developed into print and digital products including core game books and supplemental support products. The current target for the release of the SRD Beta is Summer 2015.